Looking "where to sell my Chevrolet Bel Air?" Ask the Chicago Car Club! Are you wondering "where to sell my Chevrolet Bel Air ?" 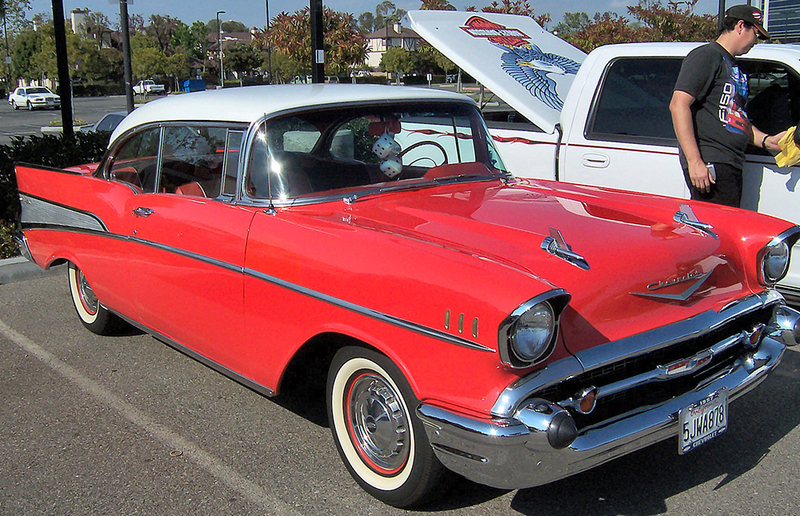 The Chicago Car Club is interested in classic cars of all makes and models, especially a Chevrolet Bel Air. We make the process of selling your Chevrolet Bel Air quick and painless. In just a matter of hours we will have your classic valued and, if you do so choose, turned into money in your pocket. All it takes is a phone call or electronic inquiry to get the ball rolling. The Chevrolet Bel Air was a full-size car produced by the American car company Chevrolet between the years of 1950 and 1981. If one were to choose the quintessential American classic cars from the 1950s and ‘60s, you would most certainly have the Chevy Bel Air on your list. It’s large body and ample seating made it a comfortable ride for both driver and passengers. Its power made it cool. Its chrome grills, gentle curves and fins made it incredibly popular with all ages. It was and still is a favorite of car enthusiasts who loved it for modification and street racing. Released first in 1950, the Bel Air went through 6 distinct generations and several body style platforms, the first 2 generations being the most sought after. It was available in its first generation as a 2-door hardtop, 2-door coupe (1953–54,) 4-door sedan (1953–54,) 2-door convertible (1953–54,) and a 4-door station wagon (1954.) Generation 2 added choices of 4-door hardtop (1956–57) and a 2-door Station wagon. First generation cars were powered by a choice of a 215.5 cu in (3.5 L) engine called the “Thriftmaster,” with a 1-bbl. valve-in-head 92 hp I6 or a 235.5 cu in (3.9 L) engine called the “Blue Flame” I6. Transmission choices were a 3-speed manual or a 2-speed powerglide automatic transmission. Second generation cars, from 1954-1957 came with an engine choice of a 215.5 cu in (3.5 L) I6, a 235.5 cu in (3.9 L) Blue Flame I6, a 265 cu in (4.3 L) V8, or a 283 cu in (4.6 L) V8 (1957.) Transmission choices were expanded to include a 3-speed manual, 2-speed Powerglide automatic or 3-speed Turboglide automatic.